To make the dressing, in a small bowl whisk together lime juice, olive oil, crushed red pepper flakes, garlic, and honey. Dressing is best served at room temperature. Spread lettuce evenly across a large serving platter. 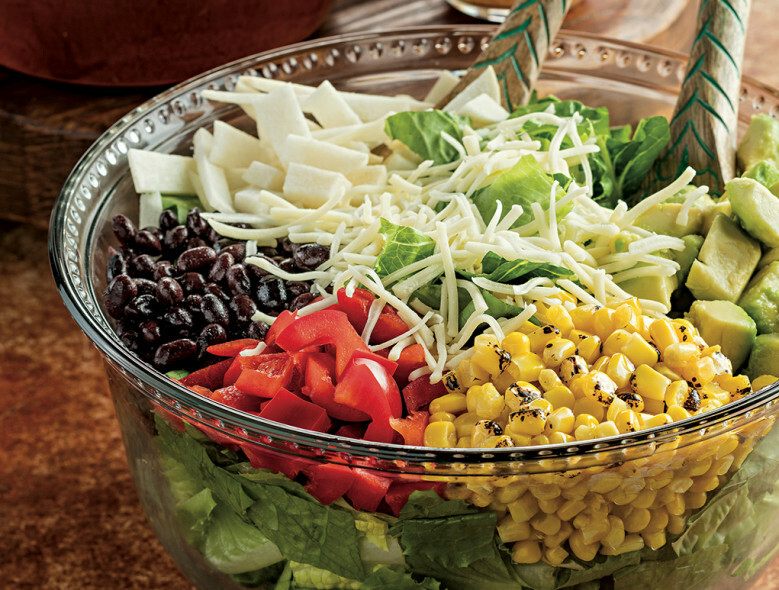 Arrange beans, jicama, corn, bell pepper, and avocados side by side on top of lettuce. Garnish with cheese. Cover and refrigerate until chilled, for at least 1 hour. 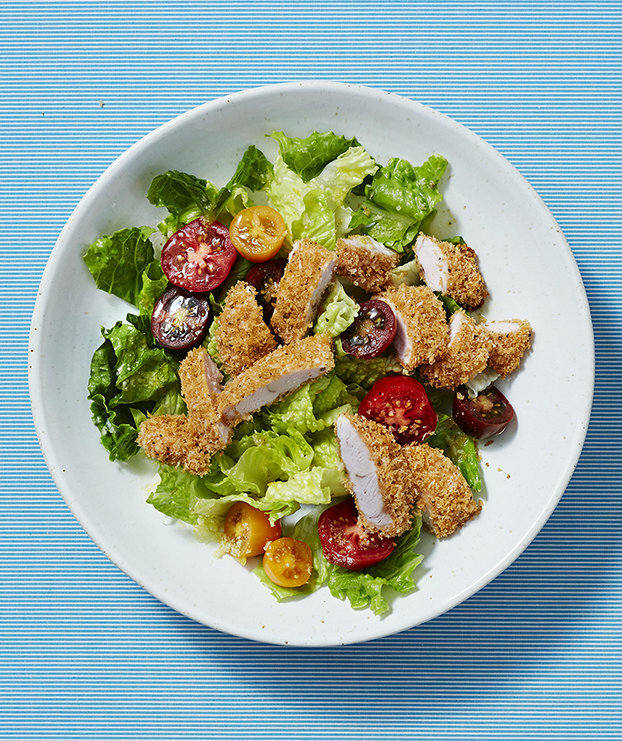 Drizzle with dressing before serving. 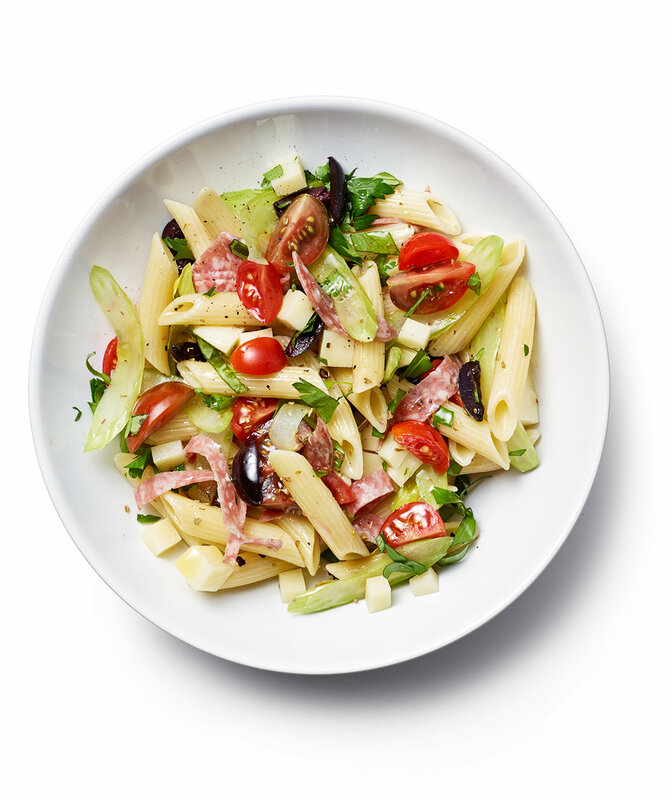 Combine penne, celery, cherry tomatoes, quartered olives, salami, and provolone in a bowl. Put olive oil, red wine vinegar, dried oregano, kosher salt, and black pepper in a lidded jar; shake to combine. Toss the dressing, basil, and parsley with the penne before serving. In a medium skillet, heat 1 teaspoon of the oil over medium heat. Add the chorizo and cook until crisp, 3 to 4 minutes. In a large bowl, whisk together the lemon juice, garlic, the remaining 3 tablespoons of oil, ¼ teaspoon salt, and ⅛ teaspoon black pepper. Add the lettuce, apple, manchego, and chorizo and toss to coat.